The improvements in cardiac anatomy in terms of decreased volumes with resulting clinical improvements following surgical ventricular restoration have been well documented. Improvements in ventricular function were assessed by the left ventricular ejection fraction which showed significant improvements. 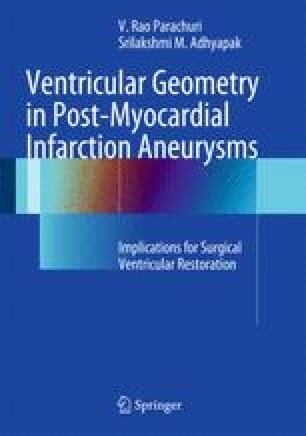 As detailed in the previous chapter, the technique of surgical ventricular restoration profoundly impacts the effective restoration of a near normal ventricular anatomy and function. The evolution in the surgical techniques has resulted in an evolutionary progress toward near normal ventricular restoration. The hemodynamics in the failing ventricle was discussed in Chap. 5. In this chapter, the hemodynamics following the various surgical techniques has been discussed. These hemodynamic studies are warranted in the surgically restored ventricle to assess its impact on ventricular function, which directly impacts morbidity and mortality.